Our bathroom furniture collection includes all you need to add essential storage space to your bathroom, en-suite or cloakroom suite. 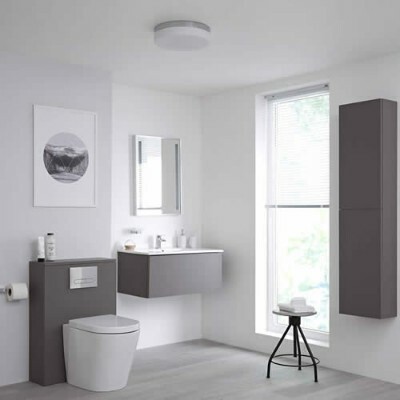 You'll find a superb range of vanity units, cabinets, mirrored cabinets, back to wall toilet units and worktops - all in an array of styles and sizes to suit any requirement. Most of our bathroom furniture is supplied pre-assembled to save time and hassle during installation, meaning you can start using your new bathroom right away. So, whether you're looking to simply update a corner of your bathroom with a stylish corner unit or want to totally revamp the look and feel of your bathroom furniture from top to bottom, there is sure to be something to help you to complete the look, in a range of sizes, styles and finishes to suit your design needs. Discover our stunning collection of bathroom furniture and update your bathroom space, today!